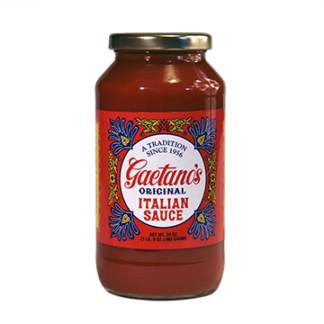 Gaetano’s Italian Sauce -- Garden Complements, Inc.
A lightly sweet Sicilian blend, with a hint of onion and garlic has made Gaetano’s Italian Sauce a family favorite since 1956. This delicious sauce is great with pasta, veal parmigiana and lasagna. 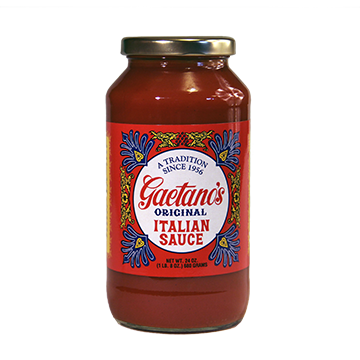 Also great used as a tasty pizza sauce or a complement to chicken, meat loaf or a wide variety of other dishes.